Alter Bridge are taking a short hiatus this year as band members work on their other projects, but fans will still get a taste of something new from the guys. The band has announced a new concert film, called “Live at the Royal Albert Hall,” which the group filmed during their two concerts at the famed London venue. The release will arrive on Sept. 7. 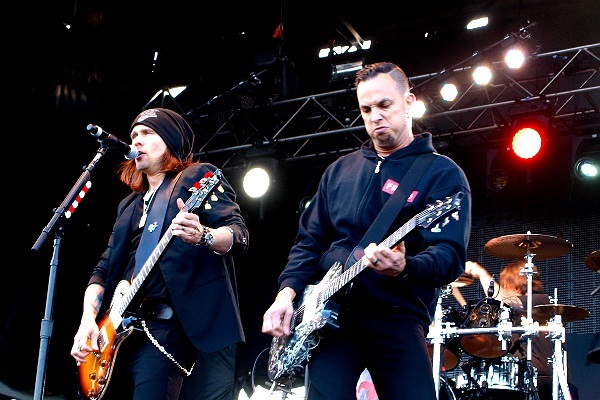 At these particular shows, Alter Bridge was supported by the 52-piece Parallax Orchestra, which made for some angelic moments. Footage of the band performing the Fortress song “Addicted to Pain” is streaming now on YouTube and can be viewed below. In other news, Kennedy is on the road this year in support of his debut solo album, “Year of the Tiger.” He will also be touring with Slash later this year as part of Slash’s solo band. Guitarist Mark Tremonti recently release a new album, “A Dying Machine,” with his band Tremonti. He’s also on the road for much of this year, supporting that new release.